You are at:Home»Local Guides»Adelaide»The Firm Gentlemen’s Club: Adelaide’s Best? The Firm Gentlemen’s Club: Adelaide’s Best? 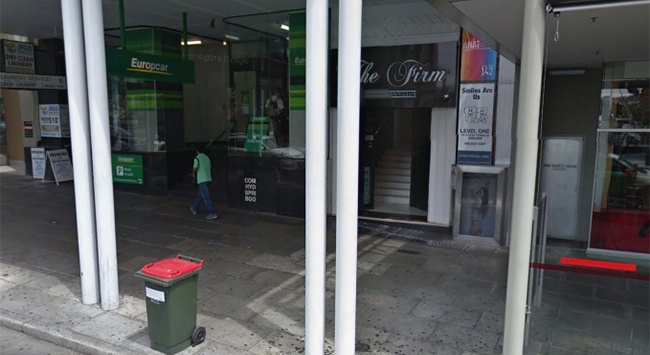 Conveniently situated in the heart of city, The Firm Gentlemen’s Club is one of Adelaide’s premier strip clubs. An upmarket venue, the Firm is a popular venue in the city for stylish nights out, whether they are corporate or buck dos. The club has all night shows on stage as well as offering lap dances as well as private entertainment in their dedicated areas. 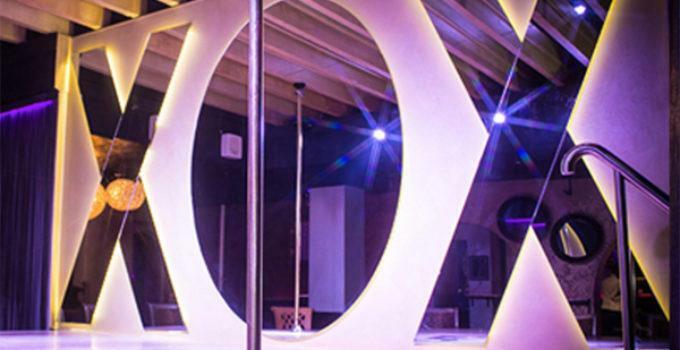 In this guide, we’ll take a look at a venue that has established a reputation as one of the best strip clubs in Adelaide. The stage set at The Firm Adelaide; image courtesy of their events calendar. The Firm Adelaide is conveniently located, reasonably priced and regularly receives excellent reviews. But does it deserve them? Our overall opinion of the club is that it is high-end and — for once — not at all sleazy. The Firm firmly deserves its strong reputation as a classy strip joint. The Firm offers a luxury setting in which to enjoy exquisitely put together shows that display the talents of their beautiful dancers. The setting is smart and the venue is comfortably appointed with lounge chairs. The bar operates a first-class table service with friendly (and very appealing) waitresses. The venue operates a rigorous dress code and operates strict security. You are required to present photo ID, be neat and clean as well as dressed formally. Management do not allow rat tails, mullets or mohawks, offensive prints, chains and rings or exposed tattoos and piercings. Headwear of any kind is also prohibited. The club likes to think of itself as a formal gent’s club and asks its patrons to dress accordingly. It’s a small price to pay for access to this decadently decorated den. The club oozes upmarket appeal with attention to detail on the whole venue; luxury animal print lounge chairs, gilded bird cages and glitzy lighting give it a five-star appeal. The stages are modern with well-designed mirrors and poles giving easy viewing from wherever you are in each area. There are several private rooms which are just as exquisitely styled and offer an opportunity to get up close and personal with your favorite dancers. It’s reported that some of the girls will entertain clients with extras as long as you are discreet and the management don’t know. It’s worth a subtle hint to find out if this is true as most of the girls are seriously hot. The staff (including dancers, security and waiters) are all exceptionally friendly and do their best to make sure your night is as enjoyable as possible; the cynical will believe that this is due to an ulterior motive of making you stay longer but they do seem to employ sociable people. The club runs regular themed nights and seasonal events including the annual Miss Firm, Australia competition. Taking place over a series of heats the event attracts some of Australia’s finest adult entertainment dancers and is well attended. The roster of dancers changes regularly and includes some national award winning beauties. Overall, they rank highly as being attractive as well as talented. The Firm takes bookings for large groups and parties but walk-ins are just as welcome. It has a strong reputation for being female and couple friendly so don’t let the ‘gent’ part of gentlemen’s club put you off. The industry membership is specifically designed for those people who work in the hospitality sector and allows free access on Sundays only with drinks for those members being just $7. The club offers a range of packages for bucks parties and other events. These range in price from $30 to $200 per person with minimum spends applying. The perks of the package range depending on how much you are paying. This can include unlimited drinks for the buck, tipping dollars and luxury private rooms; they can even film your buck’s party for an extra $200. The club is open from Wednesday to Fridays from 3pm, Saturdays from 7pm and on Sundays from 8pm. The club closes at 5am each night and is shut on Mondays and Tuesdays. Situated directly opposite Adelaide’s railway station at 142 North Terrace, Adelaide SA 5000 the club is centrally located in the city. The Firm Adelaide can get busy, especially on weekends, so if you are planning to attend with a large group, it is highly recommended that you book in advance. Firstly, to secure the space, but secondly, to net yourself a nice discount as part of the group packages. Have you enjoyed a night at The Firm? What did you make of the prices, dancers and overall experience? Let us know your feedback and reviews below.